The latest version of Google is currently Jelly Bean (Android V 4.1), but apart from couple of tablets which include Google’s own Galaxy Nexus 7 tablet, none of the Android smartphones currently have it. Even the Ice Cream Sandwich or ICS version (Android 4.0) smartphones are not too many out there. So we decided to do a post that feature some of the best value Android smart phones that are armed with ICS. ICS is probably the most stable of Android versions with easy and intuitive interface. With the release of a number of Android 4.0 ready / enabled Smartphones in last few weeks, even the users who are on budget have been given wide array of choices. Apart from the Samsung, Nokia and Sony, there are some series of phones by Spice, MicroMax and LG that give a for bang for your buck. Below is a list of some of the top Smartphones in India that runs on an Android Ice cream sandwich. Priced below Rs. 12k, Spice Stellar Horizon is the only phone to come with a 5 inch capacitive touchscreen and Android ICS operating system. It is powered by a 1GHz Snapdragon processor and has 512MB of RAM. Spice Mi-500 features include – Internal memory of 4GB which is expandable up to 31GB, 5MP auto-focus rear camera and a VGA front camera, SRS sound enhancement 2150 mAh battery, Bluetooth, WI-fi, GPS etc. Yes, and did we mention that it is a Dual Sim phone! With a price tag of Rs. 11,999/-, there is nothing much you can complain about this smartphone from Spice. 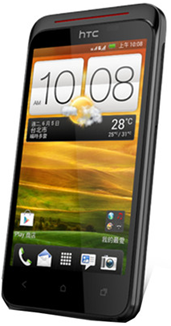 HTC One V has the same specifications as its siblings – HTC One S and HTC One X. But, it has some enhancements which made it a unique one. It has a 3.7-inch display screen, 5MP camera with LED flash, HD video recording of 720p, LCD 2 display with a resolution of 480×800, audio beats technology, Gmail, A-GPS, Google maps and many others. It has a dimension of 120.3×59.7×9.2mm and measures 115g in weight. Other specifications include – 512MB of RAM, 1500 mAh battery, 4GB of storage which is expandable up to 32GB. The users of Facebook have an option of a single sign-in and is applicable to all the apps that support Facebook accounts. One can buy this Smartphone in India at a price of Rs 17,495. 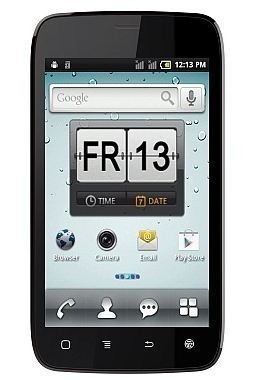 LG Optimus L7 runs with Android 4.0 ICS operating system and comes with plenty of features along with a smart design. The device runs on a 1 GHz processor and delivers a great user experience which is seamless. It offers a 4.3-inch LCD touch screen that supports WVGA and has a resolution of 800 x 480 pixels. It also supports IPS Display and offers great viewing angles. Featuring a 5 MP rear camera with LED flash and a secondary camera with 0.3MP to snap amazing pictures. This device also provides the user with unlimited access to the Google App store and keeps the users entertained all the time. This Smartphone is launched in Indian market at a price of Rs 17,990. 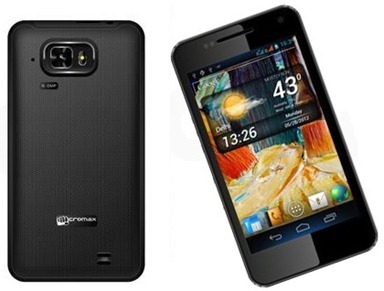 Micromax has recently launched a new Android ICS powered touchscreen Smartphone on August 17, 2012. The Micromax Superfone Pixel A90 is the latest in the series of rich feature mobile phones launched by the Indian firm. This Smartphone supports dual SIM and is launched in Indian market at a price of Rs 12,990. This Smartphone features – a 4.3-inch Amoled touch screen, powered by Android 4.0 Ice Cream Sandwich operating system, runs on a 1GHz processor with 512MB RAM, 8MP rear camera with LED flash, 0.3MP front facing camera etc. The additional features of the device include – MicroSD card up to 32GB capacity, WI-Fi, 2G, 3G, Bluetooth 3.0, and USB 2.0. And if you are looking for even larger screen, you also have 5 inch Micromax A 100, which was launched on the same day as well! 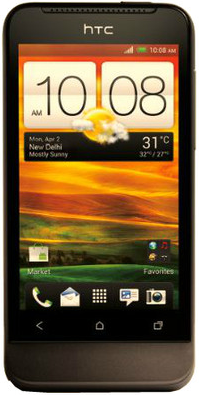 HTC Desire VC, armed with Android 4.0 Ice Cream Sandwich, is the first dual Sim (GSM+CDMA) phone from HTC. If you are a CDMA and GSM customer, there is no better phone than this one currently. This phone is has a 1 GHz Cortex- A5 processor and 512 MB of RAM which will ensure smooth running of applications on the phone. Other features of this phone include 5 MP Primary Camera with LED flash, large 4.0 inch capacitive touchscreen and 1650 mAh Li-Ion battery. Although, it is slightly on the expensive side (around Rs. 20k), this phone is definitely recommended for people who are CDMA and GSM customers. 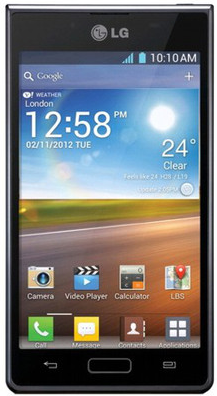 You can buy this on flipkart for 20, 950 ! Most of the other phones who are powered by Android 4.0 are high-end phones costing over Rs. 30k. But these are best value for money Android 4.0 smart phones which you can buy for Rs. 20,000 or less! IRCTC Tatkal Bookings – 9 Steps taken by IRCTC to reduce Misuse! Which's the best business phone according to you? I feel this a biased article.Although the phones mentioned here are good, I genuinely feel that smartphones like Sony Experia U should have made it to this list. Your Reply shall be awaited.